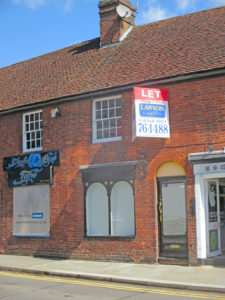 Lawson Commercial have let 2 Church Street in Uckfield to a unique business. This character property comprises a ground floor shop with 2 rooms above on the 1st floor plus a kitchen & shower room and another room on the second floor. The premises are to be operated as a costume and fancy dress hire shop together with other associated party items. This is a high profile location with lots of traffic passing through the Church Street junction. The shop is close to the junction in a terrace of unique businesses including a guitar shop, a tattoo parlour, a barbers and a phone repair shop. The premises are undergoing a refit and should be open very shortly.